This tutorial is a general presentation on how plots can be created and customized in XLSTAT. 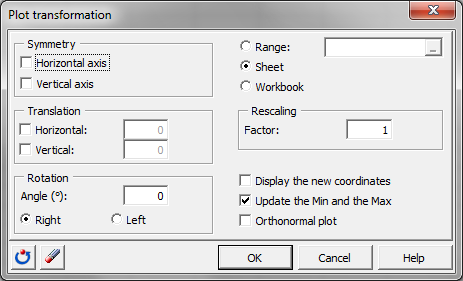 In the first case, the plots can normally be obtained by activating the corresponding options in the Charts tab in the XLSTAT dialog boxes. In the case of the latter, the plots are accessible from the Visualizing data menu. The first thing you have to do is to select the data to be plotted. This is done in the General tab. Depending on the plot you have selected, you may need to select one or several tables in a single or a number of fields. 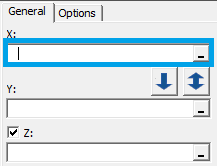 You need to click on the range selector to pick the data. The selection is done by choosing the data in the Excel spreadsheet with the cursor. You can select either columns or ranges. Note that it is possible to select non-adjacent data. You may need to fill in more information in the General tab; firstly when the selected data have labels, click the Variable labels option, they will be displayed on the chart as axis legend. 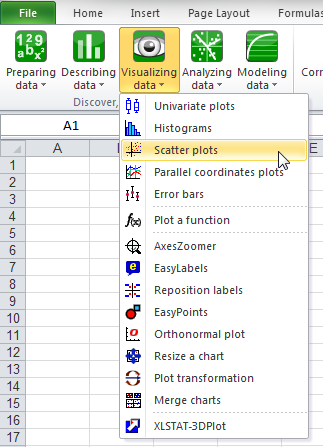 In a scatter plot, it is helpful to have the name of the observations displayed in the plot. To do that just tick the the Observation labels option and click on the range selector to select them. Don't hesitate to click on the Help button to get information about the different options. The help documentation will open in a pop-up window. In the plot that you have selected go to the Dialog box section, all the options are explained there. Modify the labels of the samples/variables, and edit their font. Microsoft Excel cannot change the color of specific samples. 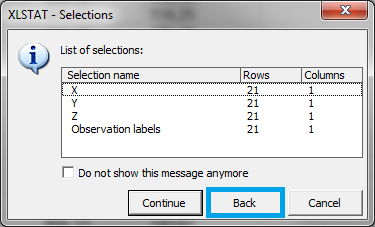 However with the EasyLabels option of XLSTAT, you can do a full customization of the labels, treating them individually. It is also very easy to change from one type of label to another. Modify markers. You can use the default option of Microsoft Excel to modify the markers however all the markers should look the same per series. 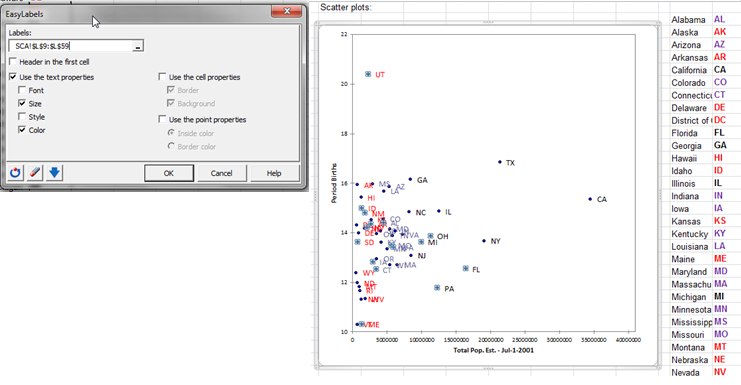 Add a trend line In a scatter plot you may wish to visualize a trend line. 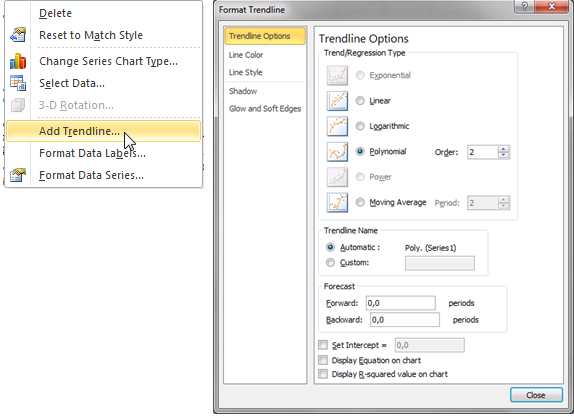 In order to do so you can use the option Add trend line available when you right click on the plot. Modify the plot area: The background can also be modified. Modify the aspect of the axes: When resizing a plot you may lose some of their properties such as the orthonormality. To retrieve this property you can use the option Orthonormal plot from XLSTAT. Also you may want to precisely define the size of the axis in your plot, use AxesZoomer. Merge two or more charts The last option available in XLSTAT is Merge charts. It allows you to merge two or more similar charts. The following video is a presentation of the various plots offered in XLSTAT as well as the different ways to customize a plot taking advantages of both Microsoft Excel and XLSTAT tools.